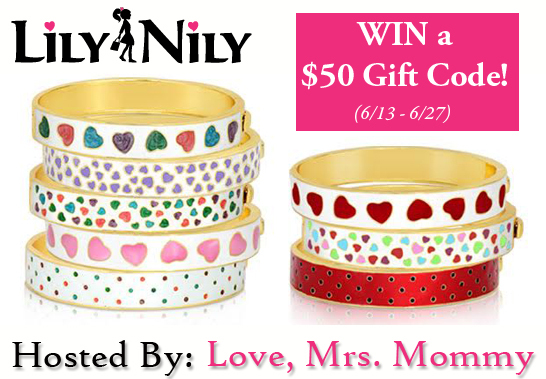 Love, Mrs. Mommy: Lily Nily $50 Gift Code Giveaway! Jewelry for Girls! Lily Nily $50 Gift Code Giveaway! Jewelry for Girls! 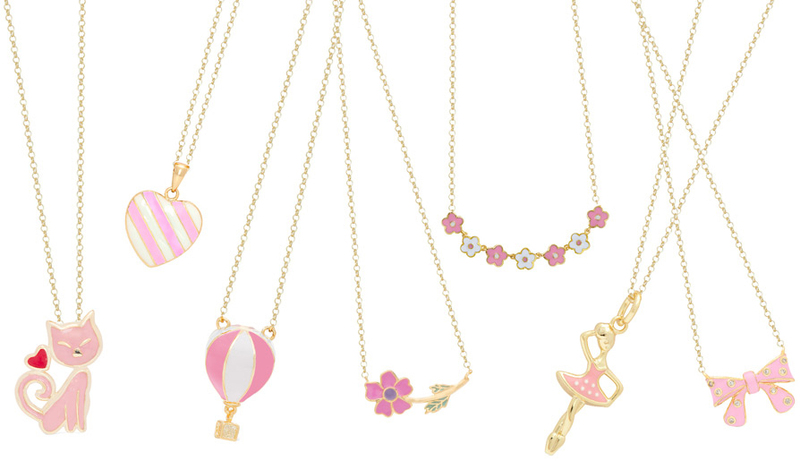 Lily Nily jewelry brings joy to little girls everywhere. Their adorable designs and amazing selection will keep little ladies coming back for more. They carry a wide variety of bracelets, bangles, earrings, rings, necklaces, and pendants. Lily Nily takes great pride in what they do and strive to create quality pieces that combine old world charm with new fashion couture. Read more of my Lily Nily Review HERE! a $50 Gift Code to spend at Lily Nily! How fun! Disclosure: Love, Mrs. Mommy is not held responsible for sponsors who do not fulfill their prize obligations. Love, Mrs. Mommy received Lily Nily jewelry at no cost to facilitate the above-mentioned review. This giveaway is in no way endorsed or sponsored by Facebook or any other social media site. The winner will be randomly drawn by Giveaway Tools and will be notified by email. The winner has 48 hours to reply before a new winner will be drawn. If you would like to participate in an event like this please contact LoveMrsMommy (at) gmail (dot) com. Welcome to the Summer Lovin' Giveaway Hop hosted by Lindsey Blogs and Viva Veltoro. A group of great bloggers have come together to bring you great prizes for this sunny time of year. 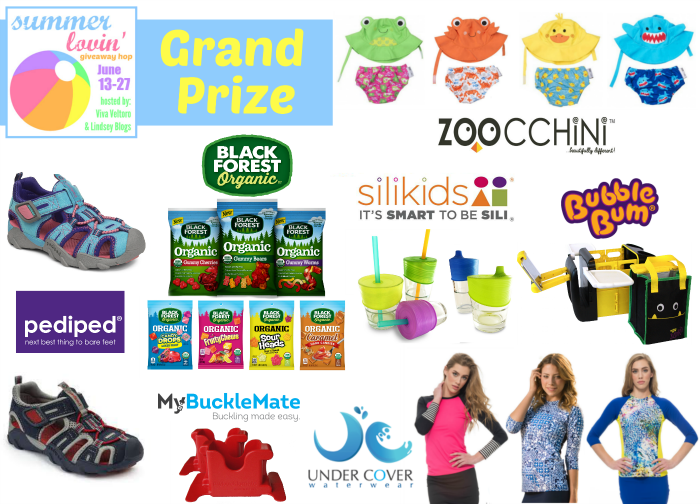 Be sure to hop around to them all at the bottom of the post to increase your chances of winning a Summer Lovin' prize AND don't forget the amazing Grand Prize on the host blogs too! Lindsey Blogs at SEBG, Viva Veltoro, and the Summer Lovin’ participating bloggers are not responsible for sponsors who do not fulfill prize obligations. I would love to win any jewelry for little girls.